Depot hours: 10am - 5pm, 7 days a week. See website for Train Shed hours and Train Schedule. The Northwest Railway Museum has a mission to develop an outstanding railroad museum where the public can experience the ,excitement of a working railroad and see and understand the role of railroads in the development and settlement of Washington State and adjacent areas. The Museum operates from the historic Snoqualmie Depot and the Railway History Center Campus in Snoqualmie. 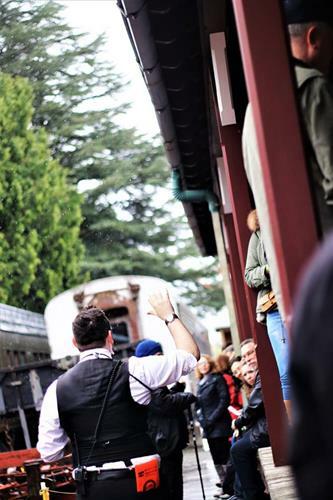 Join us for a scenic train excursions between Snoqualmie, North Bend, the Snoqualmie Falls or visit the Train Shed Exhibit Building and learn how the railroad changed everything. Snoqualmie Depot is free and open to the public year round. Train Rides and the Train Shed Exhibit Building are open April - October.